We are now assessing the work. What might we say? …. I think the Anglcian Church that I belong to may have done a beautiful thing yesterday. I am not sure. Perceptions around time might be a key part of the assessment. I used to live on Waiheke Island before the Fastcat ferry service. On a bad day you would get the old Baroona Ferry rather than the Iris Moana. This meant another twenty or so minutes added on the journey and close to three times as long as it takes today on the Fastcat. Sometimes the time it took on the beautiful old Baroona was greeted with only groans. The hard thing for a good many friends of mine is that the change towards blessing of same gender blessings is just going to take too long. The desire is for faster change. For good or ill, the Anglican Church is the Baroona. It only goes so fast. Yesterday we came to an agreement about seeking a way to hold our church together while also anckowledging that we have two distinct and opposing views about same-gender relationships. But ‘agreement’ makes it sound cheap – an exchange of goods, of marbles in the playground. Will it be just an exchange of beads and blankets or a gift that holds grace? I hope and pray that it is the latter. It felt like that in the midst of our life at Waitangi. 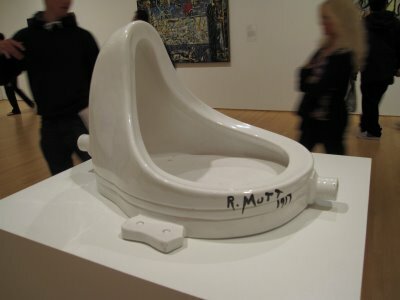 We all know that art works can be as absurd as Marcel Duchamps’ ‘Fountain.’ Where the ‘work’ is placed can change everything. So it is with the document we have produced yesterday. I think it is very fine, but perhaps because I am reading it in one place. That place is in a hugely diverse church, a church that stretches across many nations (some of which still criminalize homosexuality). Impossible diversity on one level. Finally, many of the best art works have the capacity to take us places – expand the heart and mind. I hope that what we have produced will take us to new places. Most of all I pray that it will take us to a place of celebration of the lives and loves of GLBT and those who are beautiful in their sight. Uganda – Lord have mercy upon us. As many will be aware Uganda’s President Yoweri Museveni yesterday (February 24) signed into law an anti-gay law. It was done with a flourish in front of a battery of media cameras. The new law gathers lesbians into the ‘criminal category’ for the first time. There seems little doubt that this shift in law is about hatred. It is designed to increase the persecution of people and destroy the love they feel for one another. Making homosexuality illegal will make the vital HIV/AIDS education, and the honesty and openness about sexual behavior that work requires, extraordinarily difficult. Policing and prosecuting the law will be corrosive to private life and loves and will demean those who do the policing. Archbishop Tutu compared the law – which could see gay people facing lifetime prison sentences – to Nazism and Apartheid. Our own Archbishops have (so far) been unable to come up with anything to say publically. They had press releases ready to go for a number of events recently like the death of Nelson Mandela. This event has been no less predictable. Of course, it would be hypocritical for them to say anything. Difficult for me to say anything, for that matter. Our own church law is no different in its discrimination. Moreover, some nations in Polynesia, part of our Province, have similar laws – although without the same excessive punishment. From both angles we are could be accused of not setting our own house in order. It is time for us to recognize what we have become and with whom we are now aligned. Lord have mercy upon us. At the 2013 LSM Conference I shared a TED talk by Amanda Bennet. The motivation for sharing this talk was to prompt thinking and exploration of aspects of a vexed kind of discernment: when it is that we should work heroically for ongoing life in church communities that appear to be dying, and when we accept that the process of saying ‘Goodbye’ is the work to be done. Both pieces of work require the deepest levels of faith and hope from us in ministry. It is my view that this discernment work requires wisdom and skills that we do not currently have easily to hand. The acquisition of this wisdom and skill will likely emerge through the wisest kinds of prayer, study, and conversation – sometimes from unlikely sources.